Cotton Incorporated has selected the late W.L. “Billy” Carter, Jesse Moore and Charles H. Chewning as the 2018 class of the Cotton Research and Promotion Hall of Fame. The Hall of Fame program, now in its fifth year, recognizes U.S. cotton industry leaders that have made significant contributions to the Cotton Research and Promotion Program or to the cotton industry in general. 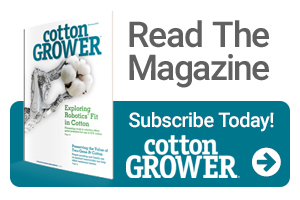 The 2018 Hall of Fame honorees were chosen from nominations made by Certified Producer and Importer Organizations and voted upon by the Chairman’s Committee of the Cotton Incorporated Board of Directors. W.L. “Billy” Carter (deceased) served the cotton industry in many different roles and leadership positions, including as the first full-time Executive Vice President of the North Carolina Cotton Producers Association from 2002-2010. He was not only a farmer, but also served on several Boards of Directors including the North Carolina Cotton Producers Association, the National Cotton Council (NCC), Cotton Incorporated and the Cotton Board. Jesse Moore is responsible for helping change the landscape of the cotton industry by taking the lead in establishing the High Volume Instrument (HVI) classification system while he was the Director of the Cotton Division of the USDA’s Agricultural Marketing Service. Moore was born into the industry, having grown up on a cotton, peanut and tobacco farm in South Georgia. A graduate of the University of Georgia, his tireless efforts in the industry set a standard for not only U.S. cotton grading, but for the rest of the world. Charles H. Chewning was instrumental in helping Cotton Incorporated create and deploy the Engineered Fiber Selection (EFS) System around the world. The system, which was a precursor to blockchain, is a complete bale management system designed to assist textile mills and cotton shippers, and improve profits, efficiencies and quality. A graduate of Wofford College, Chewning joined Cotton Incorporated in 1973 as a Fiber Processing Engineer and later became Vice President of the Fiber Management Research Division and the EFS Marketing Division. During his time at Cotton Incorporated, he also directed the establishment of a state-of-the-art Fiber Processing Center. The honorees will be formally inducted during the joint Cotton Incorporated/Cotton Board annual meeting in Charlotte, NC, in December.